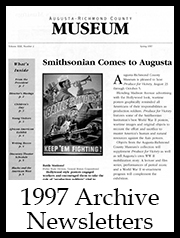 In July 2013, the Augusta Museum of History moved from a semi-annual magazine to a quarterly newsletter. 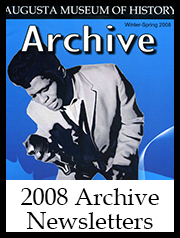 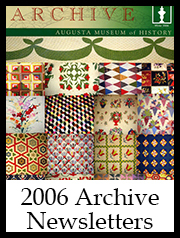 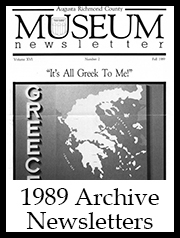 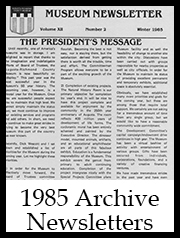 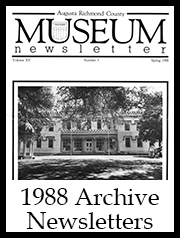 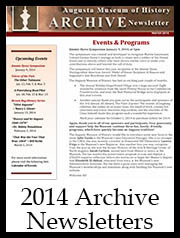 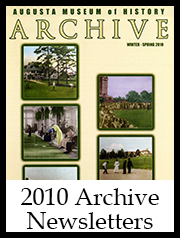 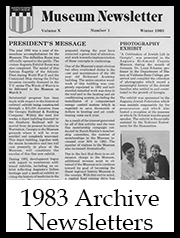 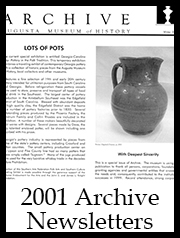 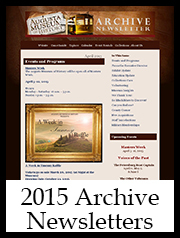 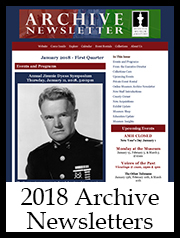 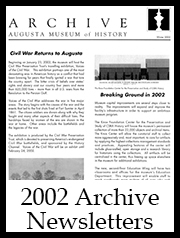 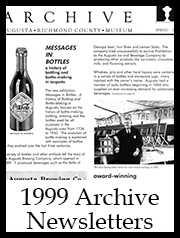 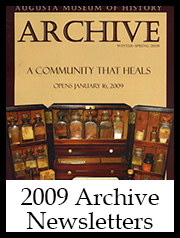 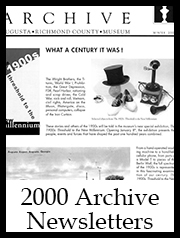 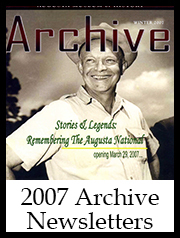 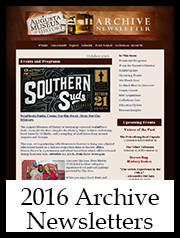 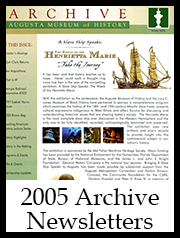 The Augusta Museum of History's ARCHIVE newsletter is published four times per year and is available electronically. 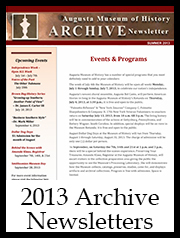 The newsletter is emailed to all members in January, April, July, and October. 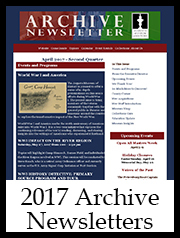 The newsletter can also be found here and printed from the website. 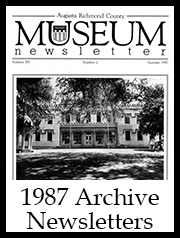 Click on a link to view the new online newsletter. 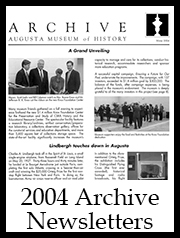 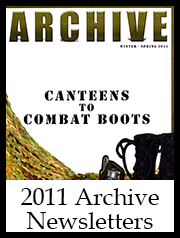 Past online magazines are also available to view.